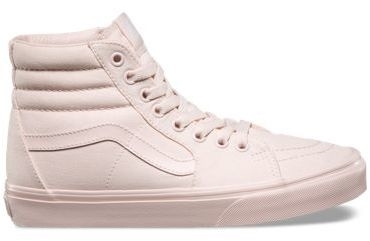 The Mono Canvas Sk8-Hi, the legendary lace-up high top, features sturdy canvas uppers, re-enforced toecaps to withstand repeated wear, padded collars for support and flexibility, and signature rubber waffle outsoles. Shop our collection of Women&apos;s Shoes online at vans.com. Browse the latest, widest selection of Women&apos;s items from Vans such as Women&apos;s Classics, Slip-On, Surf, Low Top, High Top Shoes and Sandals. Shop at Vans today!